A few years ago, a friend that I used to teach with asked me for help with some resources for her kindergarten class. Their big focus in math was numbers 1-30 - counting, sequencing, making, and identifying those numbers. She felt like she was in a rut. She wanted something different for her class, yet activities they could work on independently during math workshop. 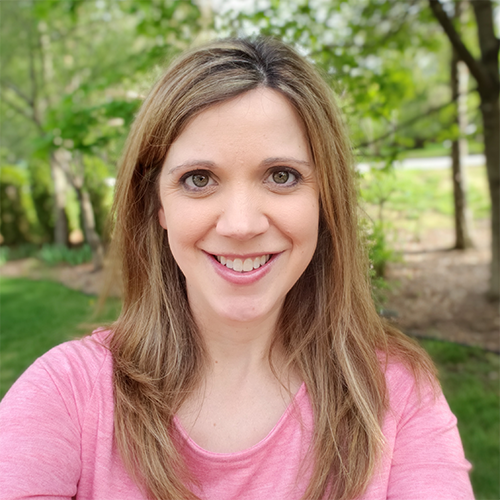 She also needed an accountability piece whenever possible to make sure that her students were in fact working independently on the necessary skills. And from that, the Numbers 1-30 Bundle was born! Each part is available separately and as a money saving bundle. I tried to create for her hands on activities that could be use in small groups, that offered accountability or self correcting options whenever possible. Take a look at what I came up with for her kinders. This pack includes color and black and white (ink saver!!) cards with standard form and the matching base ten blocks on them to be used for games. Sets are identical - just your preference on printing. 60 cards (30 pairs) per set. Just print, laminate and cut, and your students will be ready to play! Can be used in the classroom as a mini-lesson, choice activity, math workshop station, center or send a set home as homework for a student to play with a parent. This base ten book allows students to practice making numbers 1-30 out of base ten books. It can be used as a stamp book if you have base ten block stamps. If you don't have the stamps, no problem! I've included printable base ten blocks that you can cut and glue. Common Core aligned for kindergarten. Even though kindergarten CCSS only goes to 20, I've included up to 30 so you can extend for your students who need it. Sequencing or ordering numbers can be a tricky task, but luckily we have task cards to make it more fun! These task cards are perfect for having your students practice what number comes before, after, next, etc. with numbers up to 30. Ideal for math centers, math workshop, small group, whole group and guided math groups. You can easily differentiate by selecting the set that works best for your students and then selecting the recording sheet with the ideal amount of problems to meet your students' needs. Each set comes in color but also has an identical black and white set. You decide which set works best for your printing needs. Designed to practice counting and identifying numbers, these cards also allow your students to practice their fine motor skills. Includes 60 cards total (2 of each number 1-30.) Each card includes pictures and three corresponding number choices. Students count the pictures and then use a clothespin (not included) to clip onto the correct number. Then they can flip the card and check their answer. The correct answer is highlighted in yellow. These cards can be used in a guided math group, math center, work stations, independent practice, fast finisher assignment or used with the whole class. Common Core aligned for kindergarten. Includes numbers 21-30 as an extension for students who need a challenge. This file includes 30 puzzles (numbers 1-30.) Each puzzle is four pieces and includes four ways to make each number including standard form, base ten blocks, ten frames and pictures. Perfect for math centers. Just print on cardstock, laminate and cut. Looking for more accountability? There are also ideas included for adding stickers to the back of the puzzles to make them self check ready. Common Core aligned for kindergarten. Includes numbers 21-30 to allow for differentiation and extensions for your students who have mastered the standards. Looking for an easy to assemble math center? Here it is! Simply print, laminate and cut puzzles into strips. Students will practice sequencing numbers 1-30 while assembling the picture. The picture builds in automatic accountability to check their sequencing skills. Designed with kindergarten Common Core Standards in mind with the option for extension activities by using the numbers 21-30. I blogged about this in more detail HERE. This number match card game includes 120 pairs of cards. Each pair includes the number (1-30) in standard form and it's match in picture form, base ten blocks, tens frames, dice or fingers. Just pick and choose the numbers and formats you want your students to practice. Print on cardstock, laminate, cut and you are ready to go. Perfect for math centers, math stations, guided math or math workshop. These cards are ideal for games such as memory and go fish. They can also be used as flashcards. I blogged more about these mini books HERE. Print, copy, staple and cut and you have number mini books ready to go. It is that easy! Each mini book is 8 pages. There are books included for numbers 1-30. Each page includes an I Can statement in an easy to read font. The awesome part of this bundle is you can pick and choose what you want to use and buy individual activities. If you think you will use them all and want to save the most money, the bundle is the best way to go. 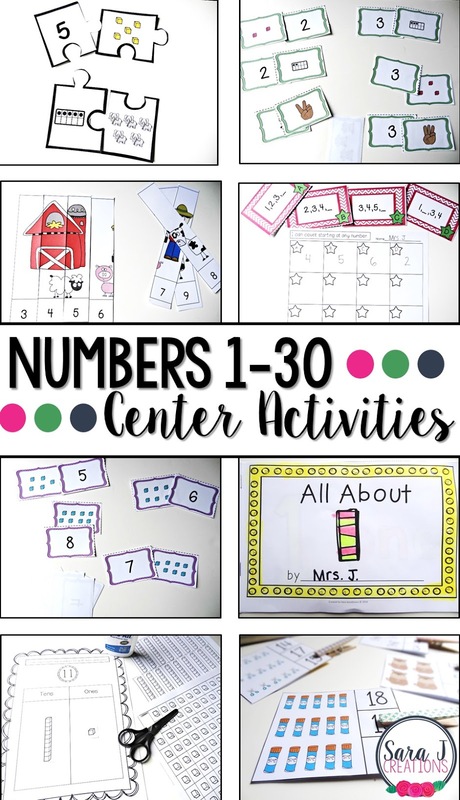 Click here to download the numbers 1-30 bundle from my TpT store.